My parents are in town, which means it's the perfect time to do a project with Mom! Before she arrived, I purchased the Hip Belt Pouch Kit from RipStopByTheRoll.com, a premier supplier of MYOG fabrics and such. The kit consists of a single sheet of pre-cut fabric, a zipper, some elastic for the belt straps and some zipper pull material. As for instructions, you're given a PDF as well as a reference to a video of a project with similar construction. I'm impressed with the materials and the finished project. I'm psyched that the instructions are given in such a way that you can scale the bag up and down as you wish. I'm less than impressed with the instructions provided by Ripstop By The Roll. For one thing, step 6 seems totally out of place. 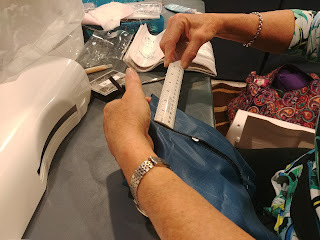 For another, my Mom would have vastly preferred more standardized language when describing how to attach the zipper (wrong-side-to-wrong-side - that sort of thing). For what the kit costs, a full video tutorial would be appropriate. My guess is that the team at Ripstop By The Roll is just too experienced and can't appreciate what it's like to try to tackle this project as a first sewing adventure. If they are going to sell these kits for the price that they do, they would be well served to bring in a total novice and watch him/her create the bag with their instructions. Ultimately, the project is a solid one. 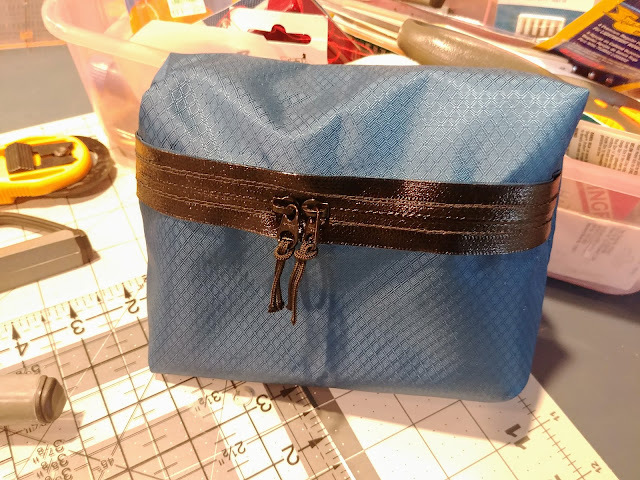 It's functional, looks polished, and requires a nice balance of skills (including properly marking up fabric and installing a zipper). Now that we've made one bag, the plan is to make another to fully cement the experience. 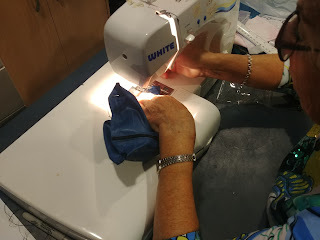 Hurray for Mom's who love to do projects!